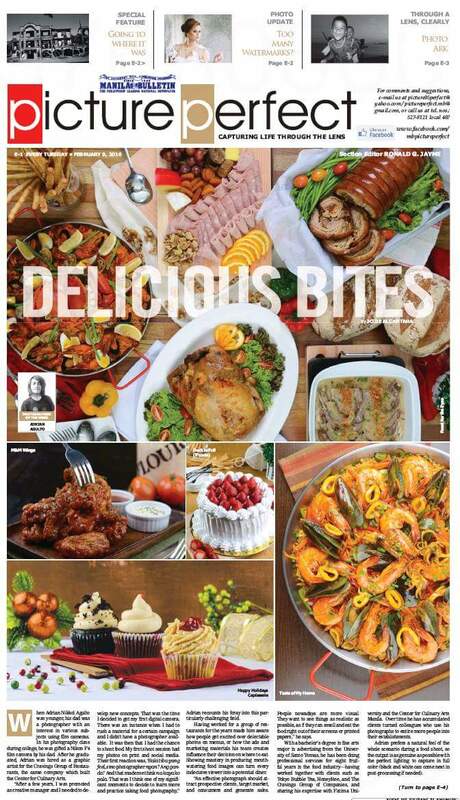 Food Photographer Manila Philippines | I Shoot Food Manila’s Founder, Adrian Agulto, featured as Manila Bulletin’s Photographer of the Week! 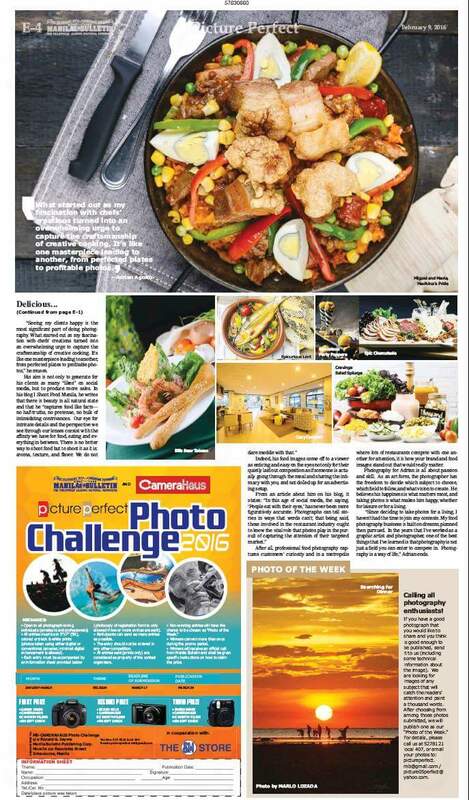 In today’s issue of Picture Perfect, Manila Bulletin’s photography section, Adrian Agulto, the Founder and Chief Food Photographer of I Shoot Food Manila is featured as Photographer of the Week! In an interview, Adrian recalls his beginnings as a photographer. Narrating his experience as the Cravings Group of Restaurants’ then creative manager, when he was looking for a photographer for a rushed campaign material, he discovered that all he needed was to search within himself and click the trigger. Other people discovered from then on, that more than just passion, he also had the skills of an artist and the discipline of a professional photographer.